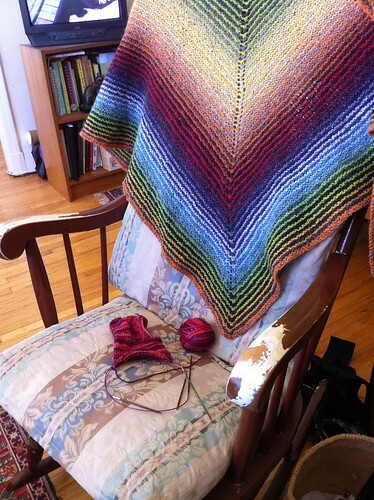 This shawl went off the needles and around my neck almost instantly, it is so gorgeous. The Eyelet Shawl using Dyelot Yarn’s Stimulus Package yarn in the colorway Santa Fe is a superbly simple knit. 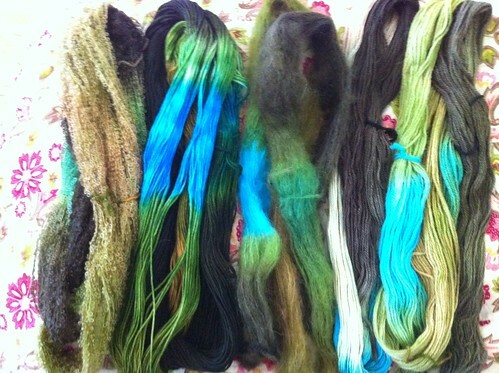 The yarn comes in a big fat skein but is really six smaller skeins of yarn, all dyed the same but with gorgeously different textures. The pattern came free with the yarn but it makes a hugely long shawl. I am almost 6′ tall and I have to triple wind it around me for a loose cowl effect. I might like to make another one that is about 2 feet shorter! 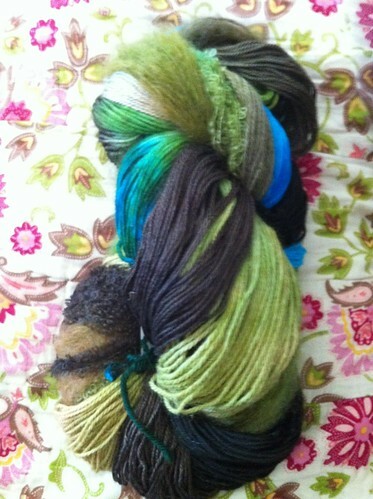 But regardless, I love this shawl and am so grateful for the gift of the yarn from E___. I am going to be cozy and very stylish all winter long. 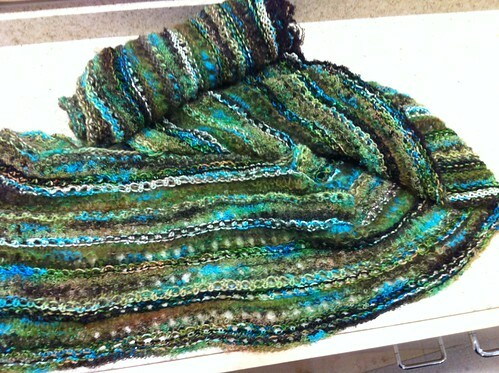 Posted in Gifts, knitting and tagged 12 Shawls in 2012, gift, healing, scarf, shawl. Bookmark the permalink.